The following sofas, suites and chairs from Horsleys of Gainsborough are in stock at our Church Street showroom. 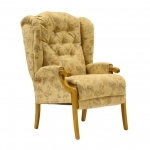 All our sofas and chairs come with free local delivery, subject to mileage, along with free movement of your old furniture. Looking for a special offer? Why not visit our upholstery special offers section and grab yourself a bargain.